C.H. 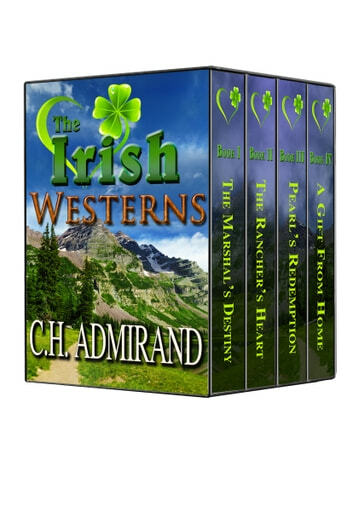 Admirand's Bestselling Historical Irish Western Series in a boxed set. For those of you who are wondering if you've read the entire series to date, here are the first four books bundled. The Secret Life of Cowboys/Sourcebooks, Inc.
Drags a little but overall a really good read. Plenty of good old fashioned humor and even a few tear jerkers. Keep them coming. I enjoyed these four stories. The first one wasn't quite as much fun as the next three but I enjoyed them all. Irish immigrants in Colorado. Each with problems and heroes. Stories about community, describing both the good and the bad. Enough humor to make you smile. Lots of romance and just a touch of sensuality. Good reads.